ClaveracH Farm has been in sam hilmer's family for over 100 years. Located just twenty miles southwest of St. Louis in Eureka, MO, the entire family property is over 1000 acres - the Claverach portion is about 300 acres. The land here is very special because it has been undisturbed from development, extensive logging, or intensive agriculture. It looks more like what you would see in the southern Ozarks than a piece of ground so close to St. Louis. Sam has always known that he wanted to farm. He started farming here right after graduating college, about 25 years ago. He made a name for himself knocking on restaurant backdoors and developing relationships with St. Louis chefs. Then he started doing farmers markets a gained a following that way. Over time, the vision evolved that he wanted to take food from the farm and put it directly onto people's plates. The original 120-year old barn on the property was renovated and restored for hosting farm-to-table events. All of the produce used for events is grown on the farm. Meat and dairy is sourced from within sixty miles of the farm. In addition to being a skilled farmer and chef, Sam has also been growing grapes on the property and making wine for 20 years. His focus is on fresh, natural, terroir-driven wines. Today, Sam and his wife Rachel run a multifaceted food and wine business. 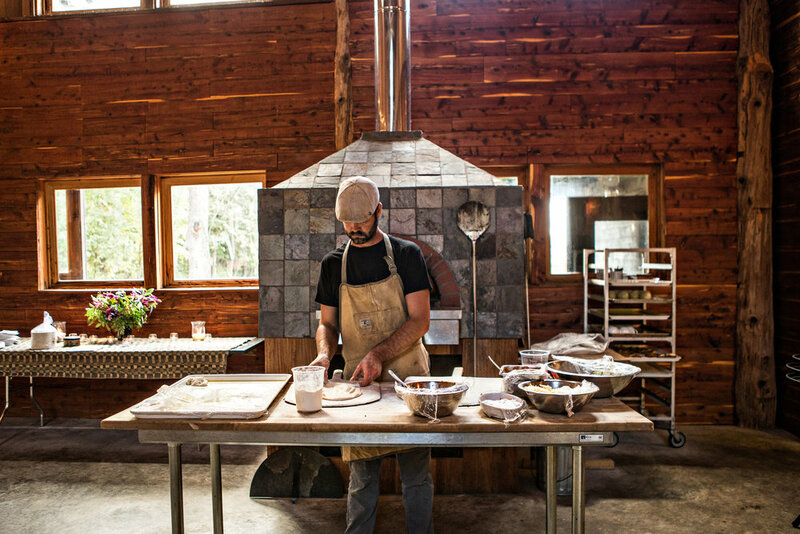 They host food-focused events in the barn such as private parties and wine dinners. They also run a boutique wine distribution concentrating on natural wines from around the world in addition to the few quirky wines made on the farm.